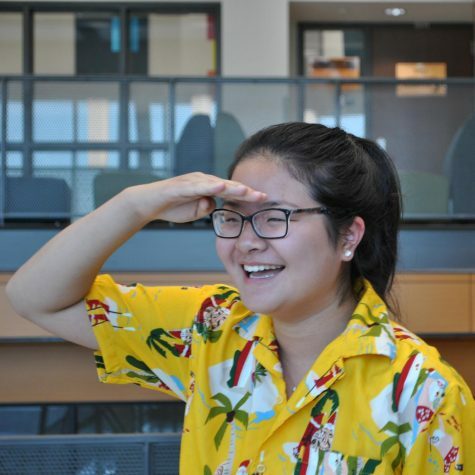 As a sophomore at Edina High School, there’s no doubt that Ellen Mi’s year will be filled with endless academic stress, all nighters, and consequently, immeasurable amounts of coffee. Although a staff writer for Zephyrus, Ellen hasn’t always had a die-hard passion for reading and writing - with her only accomplishment remotely related to writing being her third-place finish in the 5th grade school spelling bee. Her academic life outside of Zephyrus can usually be characterized by hanging out with fellow band nerds in the band room, at debate practice vigorously preparing for upcoming tournaments, or sitting in a nearby flex space working on homework. In her free time, Ellen will be either spoiling her dog, hanging out with friends, or watching one of the countless Planet Earth documentaries on Netflix.